When the stakes are life and death, you'd be surprised at the lengths you’d go to survive. Pain, hunger, and fear can seem like paralyzing obstacles, but in the face of real danger, they’re actually what keeps us alive. ​Every week, we'll follow a different survivor's visceral and inspiring fight for life, and examine how the trauma impacted them forever. ​These are the stories of what happens when the human self-preservation instinct is pushed to its limit, through the eyes of the world's most resilient survivors. 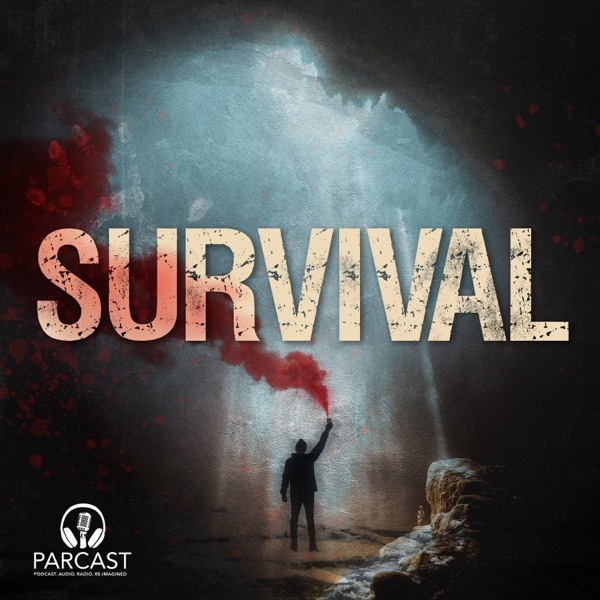 Survival is a production of Cutler Media and part of the Parcast Network. Born inside of North Korea's Kaechon internment camp, where political prisoners and their descendants are sentenced to lives of starvation, torture, and hard labor; Shin faced a brutal life in confinement with no possibility of release. In 2005, he saw an opportunity to escape. Look through the eyes of the world’s most resilient survivors; people trapped on sinking ships, captured in death camps, alone in the arctic wilderness. We’re with them every breath, as their self-preservation instincts are pushed to the limit. <strong>Survival</strong>, a Parcast Original, premieres March 25th. New episodes every Monday. Subscribe now!